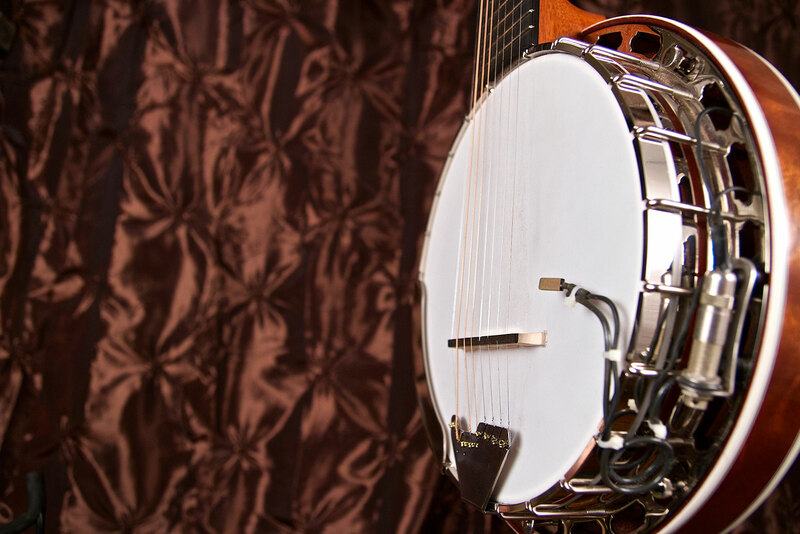 The Saffell Infinity 8 string banjo is a truly unique, one of a kind instrument. 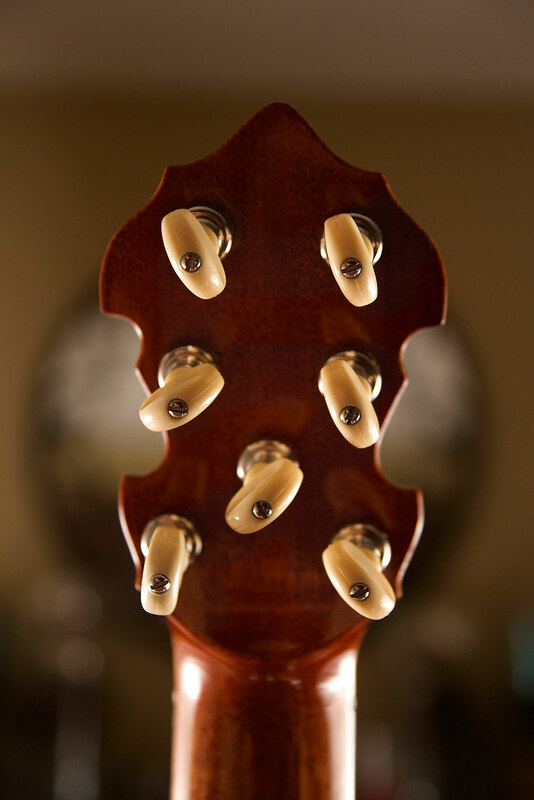 After over 20 years of research, development and field testing, we are very excited to begin offering this custom instrument to musicians worldwide. 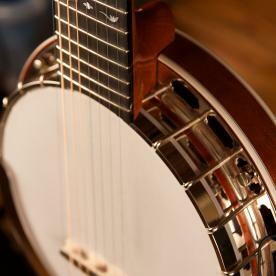 This banjo offers the very finest in diversity, tonal range, intonation, sonic balance and tone. 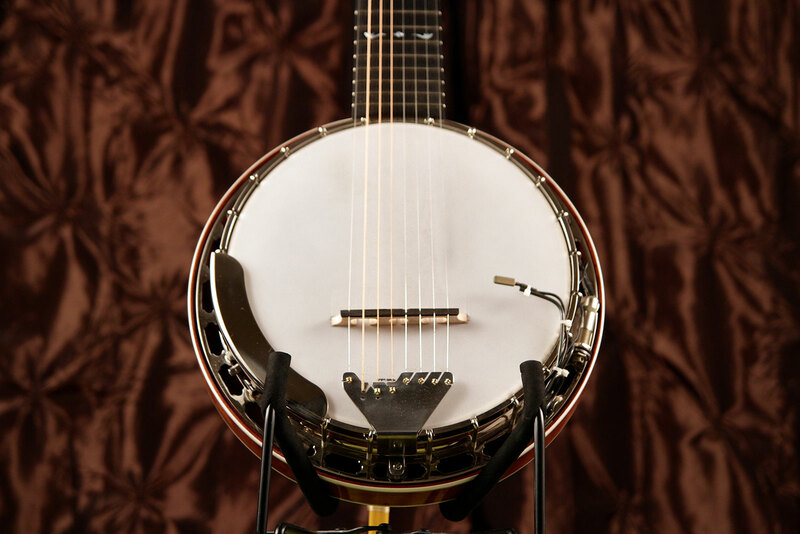 The Saffell Infinity 8 string banjo is expertly hand crafted in the USA and built from only the finest American made parts and hardware. 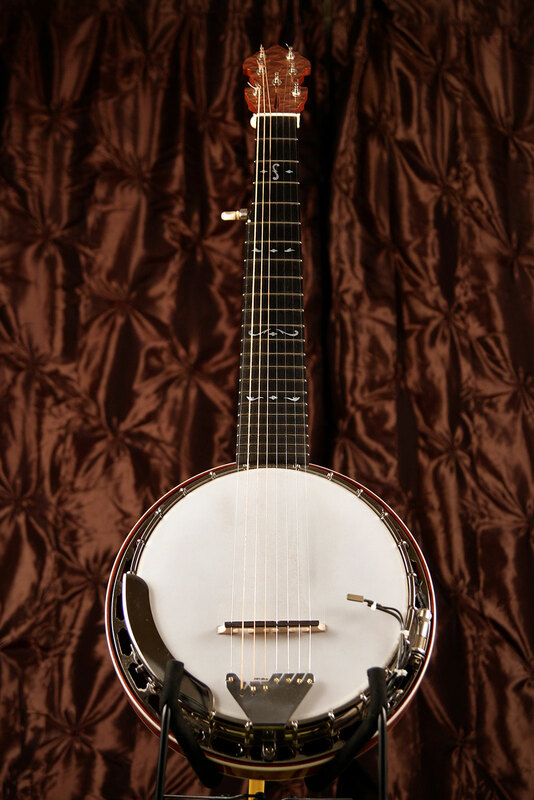 It features the unique Heartland Banjo no hole flathead tone ring patterned after J.D. 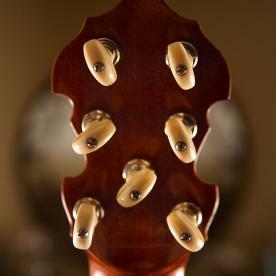 Crowe's early 1930's Gibson Mastertone. 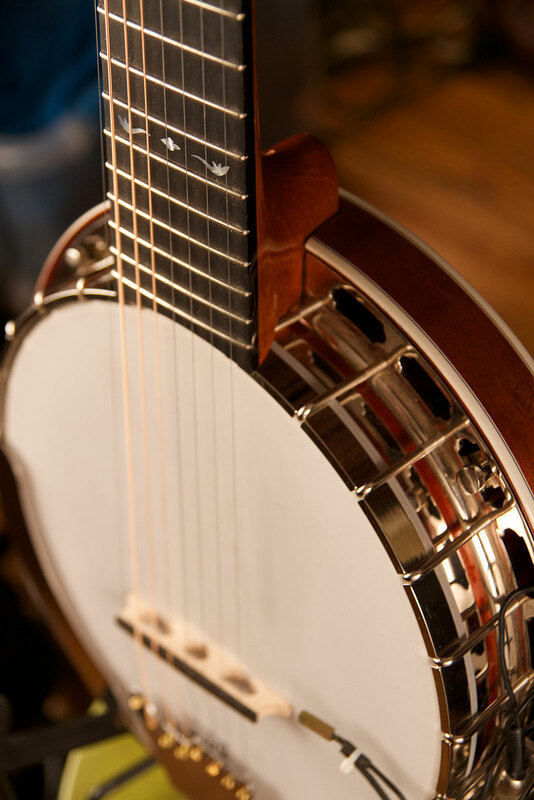 This tone ring and three ply rock maple rim gives this banjo the big, round, full, clear sound today's banjo players are looking for. 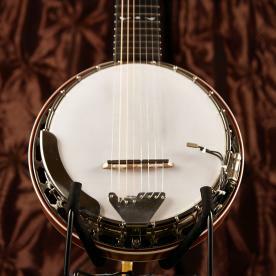 The three additional full length strings provide this banjo the extra sustain, range and fullness that most 4 string and 5 string banjo players long for. 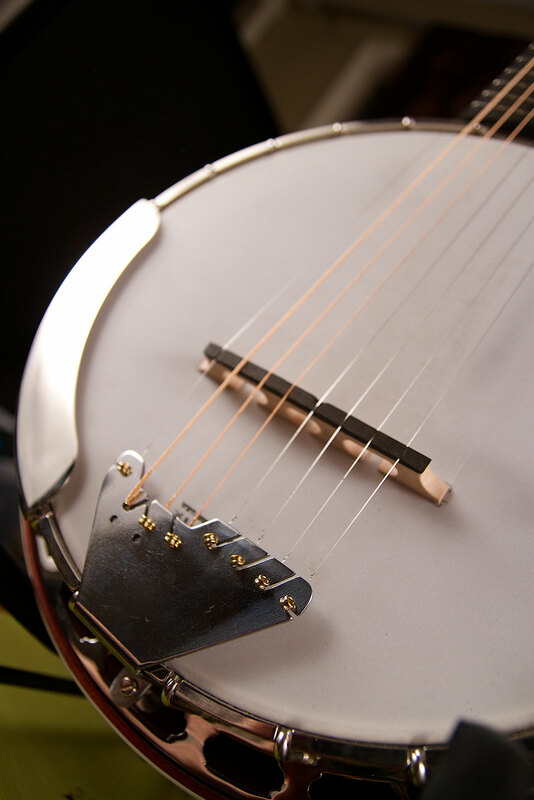 With two lower and one higher string (than a traditional 5 string banjo), this instrument has a range of nearly five octaves. This expanded range makes it ideal for all musical genres including classical, swing, blues, jazz, new acoustic, folk and vocal accompaniment. 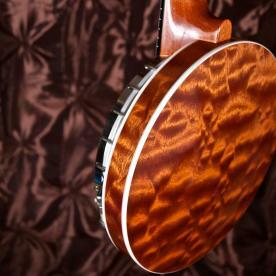 The Saffell Infinity 8 string banjo is wonderfully suited to carry the open minded, innovative musician into the next century. 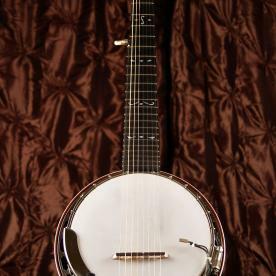 It can be played using a variety of picking styles including three finger Scruggs and bluegrass styles as well as Reno, single string and melodic styles. 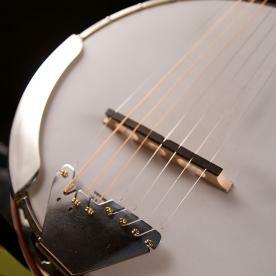 It can also be played using a plectrum or flat pick for Irish, Celtic, and Dixieland styles as well and frailing, claw hammer and drop thumb techniques. 7 string models also available. 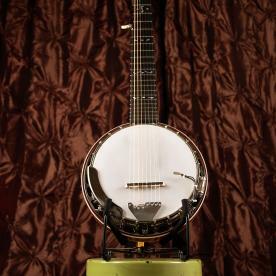 See more video of the Saffell Infinity Banjo on The Fells website. 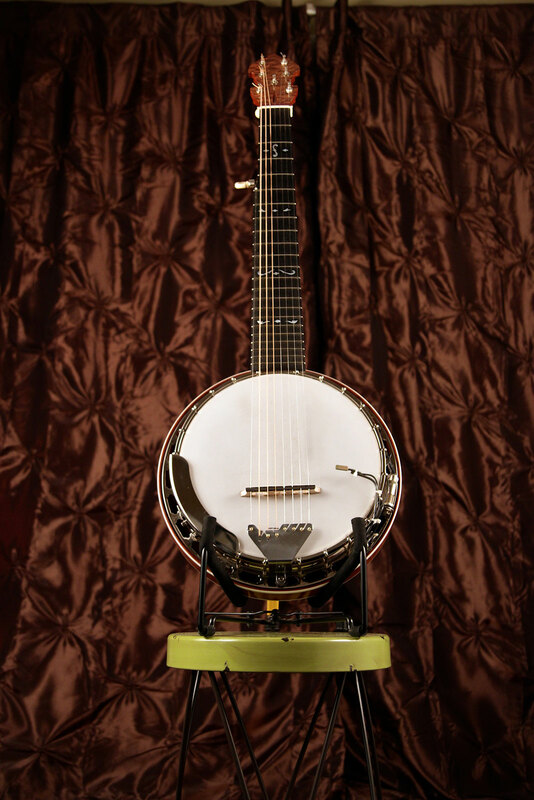 There are a range of customization options available on the Saffell Infinity Banjo. View more photos of the instrument. Click on any of the photos to view a larger version. 8 String Quilted Mahogany model $6600.00. 8 String Curly Maple model $6900.00. 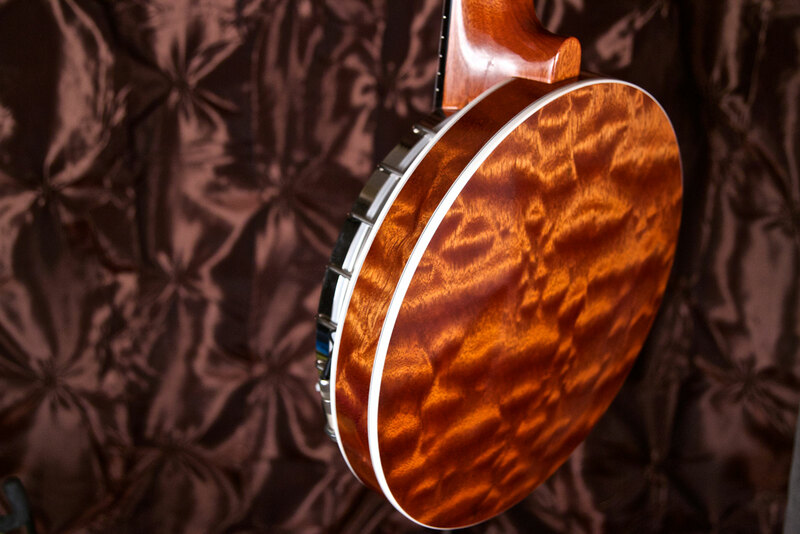 7 String Quilted Mahogany model $6500.00. 7 String Curly Maple model $6800.00. 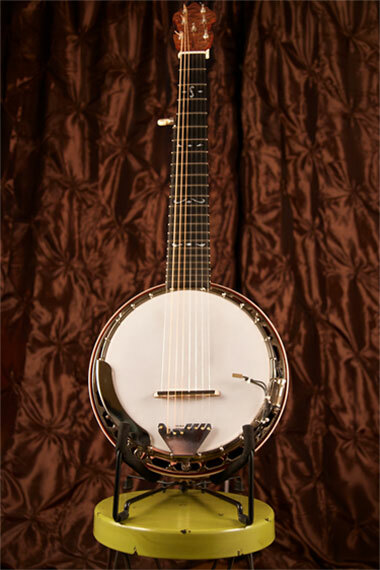 Retro fit custom 8 string conversion package includes: stainless steel 8 string tailpiece, 8 string ebony/maple bridge, Saffell Infinity 8 string neck with base wood to match your banjo, call for pricing. Seven string conversion kits are also available, call for pricing. All orders require a 25% deposit with a 4 to 5 month lead time for delivery. 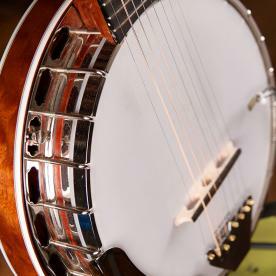 All new banjos come with a three year warranty to the original owner. 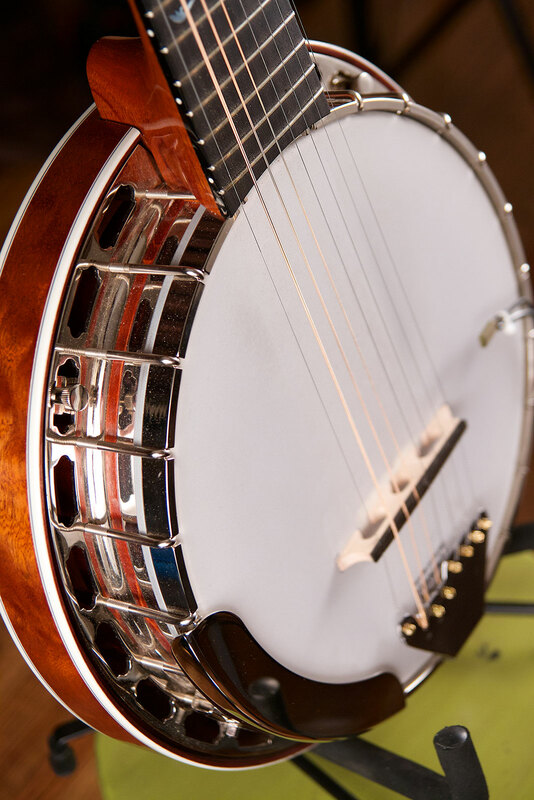 For more information about the Saffell Infiniti 8-String Banjo, please fill out the form to contact us or find us online at one of the resources below.